At Twin Filter we understand the difficulties in sulphur burner plants and its filtration processes. The filtration of liquid sulphur is required to remove solids, which might plug the sulphur spray nozzles or accumulate in catalyst beds. 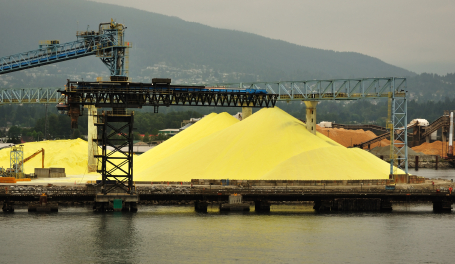 Solid sulphur is generally stored outdoor and will therefore collect dust and dirt from the surrounding environment. Indoor storage will help to minimize the accumulation of dust but will not prevent it. After melting, the sulphur needs to be filtered. The removal of solids reduces maintenance costs and improves the operation of the burners.